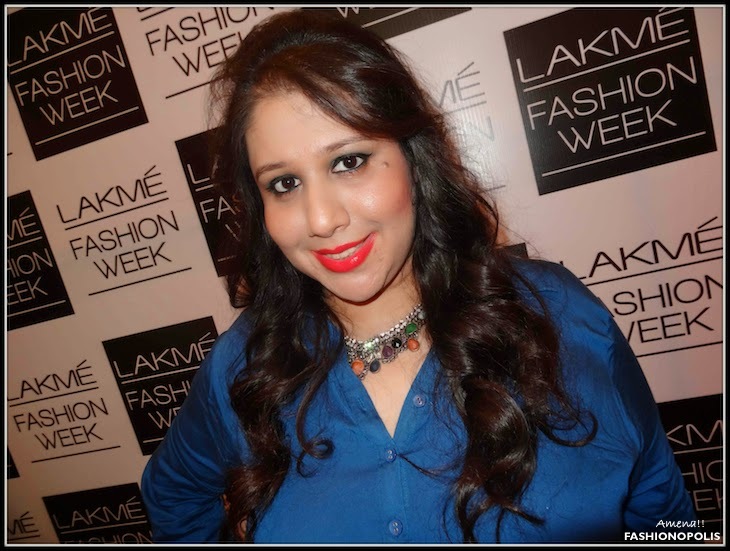 Somewhere between attending back-to-back shows, gossip session and streetstyle photo opportunities, I had my very own ‘Absolute’ makeover moment at Lakmé Fashion Week Summer Resort 2014. 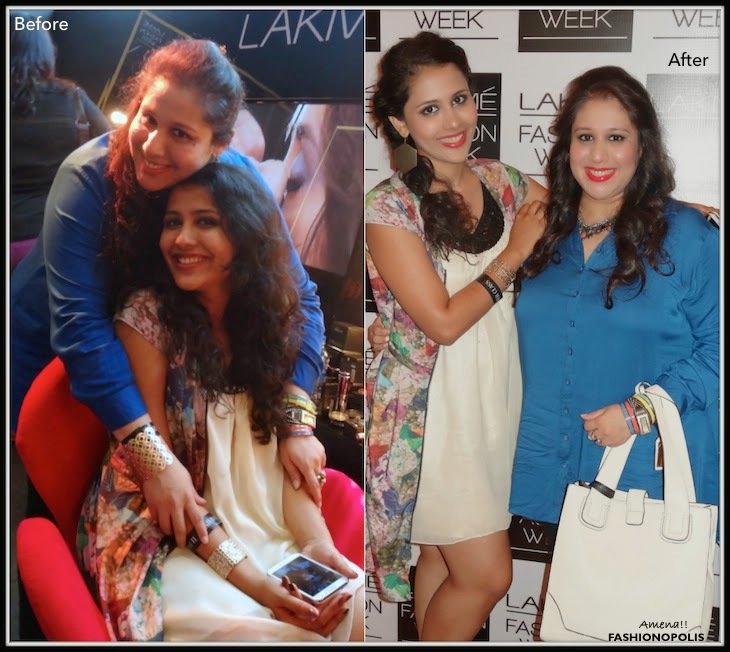 You see, the kind people at Lakmé Absolute Salon offered select few fashion and beauty bloggers an opportunity to try out their Spring-Summer 2014’s hottest makeup looks and hairstyles. 2014 being my year of ‘try new things’, I was more than ready to flaunt a new look. Not to shy away from experimenting with her looks, I got my friend, beauty and lifestyle blogger, Anusree, to try out a look as well. Tad bit nervous and a whole lot more excited, we put our faith, faces and hair in the hands of the talented Lakmé Absolute Salon team. After briefing them with basic instruction regarding our personal preference and hair and skin type, we let the experts takeover. 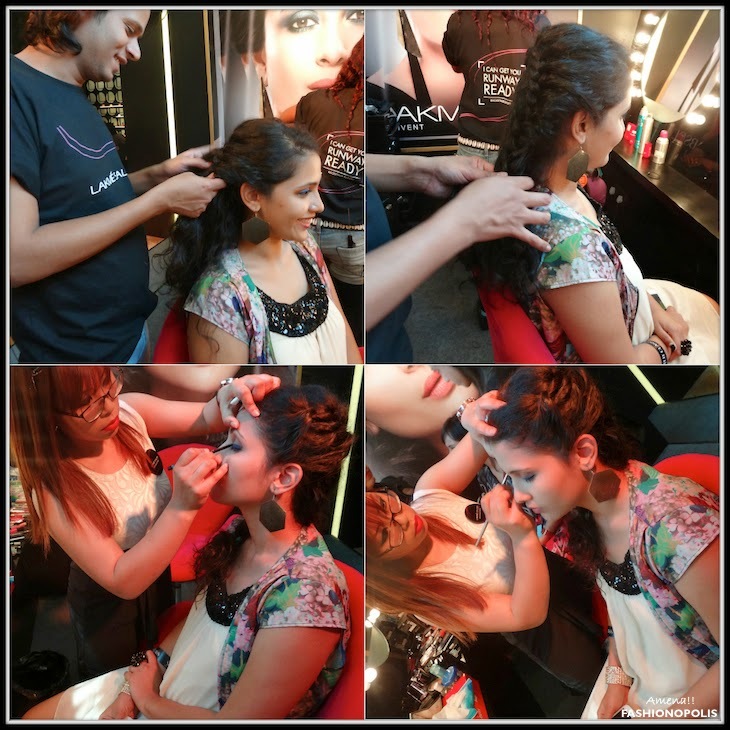 In less than 30 minutes, the geniuses at Lakmé Absolute Salon created two head turning, compliment worthy looks. Hey, don’t just take my word for it! As the saying goes, ‘a picture is worth a thousand words’ I let the following images do all the talking. Staying true to Anu’s effervescent nature this look is ideal for her to flaunt her enviable structured jawline and big, beautiful eyes. 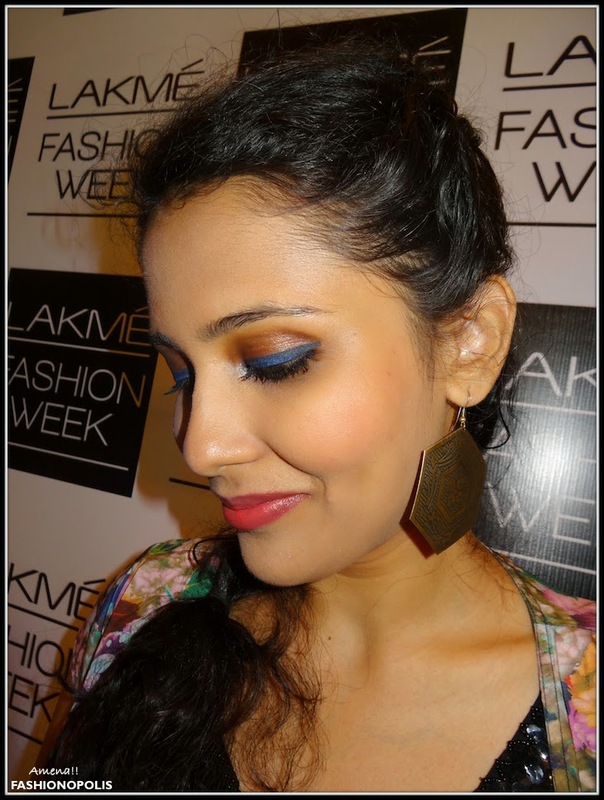 Going with Anu’s trademark and preferred blue eye makeup, her eyes were played up with metallic blue eyeliner from Lakmé Absolute makeup range. Bronze eye shadow was added to make the blue stand out better. Complementing colour pop was added in the form of lush pink lipstick and subtle blush to highlight her cheekbones, while the rest of the look was kept simple and natural. 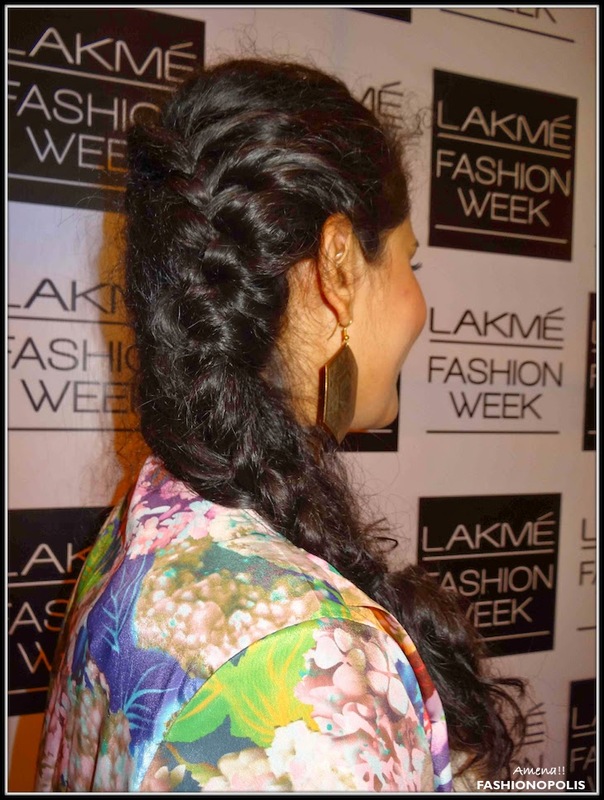 Anu's hair was styled with in a side French braid. A breakaway from her classic curls, this was done to give a new spin to her riotous curls without diminishing their natural allure. 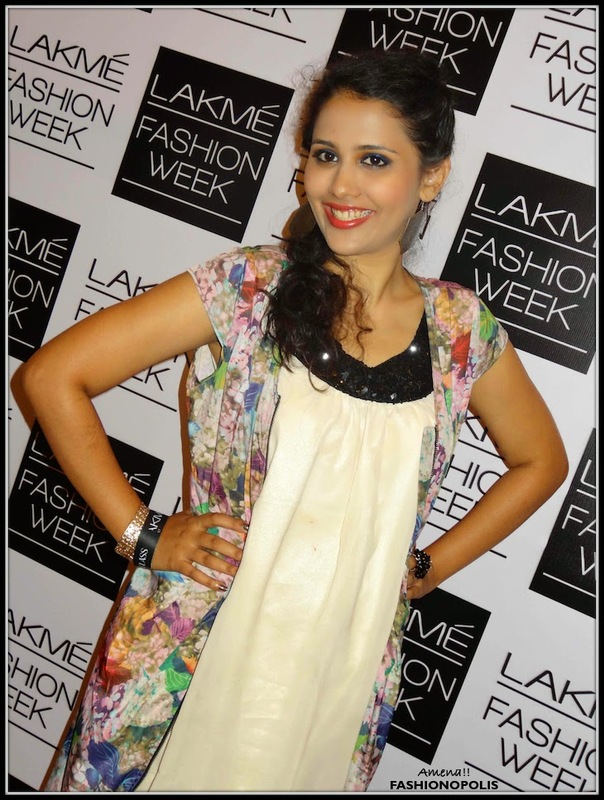 The overall look is perfect for Anu’s joie de vivre spirit and girl-next-door charm. Fresh and youthful, an ideal look for the day. Keeping in mind my personal makeup preference of dramatic eyes and bold lips, the look created is ideal for my personality and features. 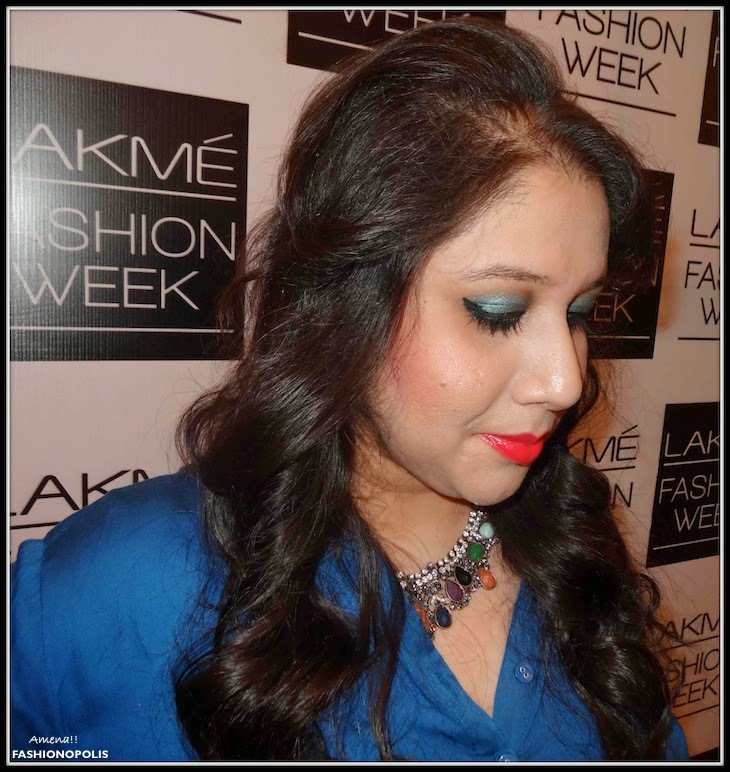 Metallic green eye shadow paired with black winged eyeliner was the ideal combination to make my small eyes stand out. A few strokes of mascara and my otherwise non-descriptive eyes now had everyone’s eyes on them! Playing up my natural pout with a shiny coral red lipgloss, the look was completed with a delicate shade of blush that highlighted my cheekbone. Since I have an oily complexion I opted for a powder base instead of using liquid foundation or concealer. I had already tried a braided look the previous day; therefore I wanted to go with something different. My hairstylist, Sagar, suggested soft curls that would go well with my natural wavy hair. Bouffant was added to give volume as well as to up the glamour quotient of the look. With just right amount of drama and glamour, this look was ideal for me on ever level. It suited my skin and hair type as well as my vibrant personality. 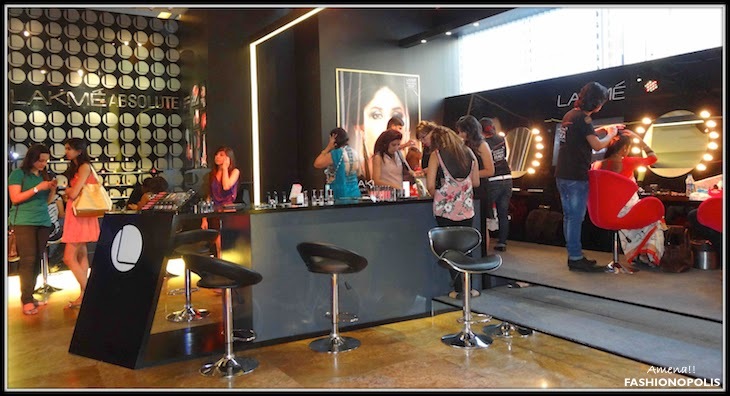 Not as dramatic as ANTM or any other reality show makeover, I must say our ‘Absolute Makeover’ by Lakmé Absolute Salon is no less remarkable. 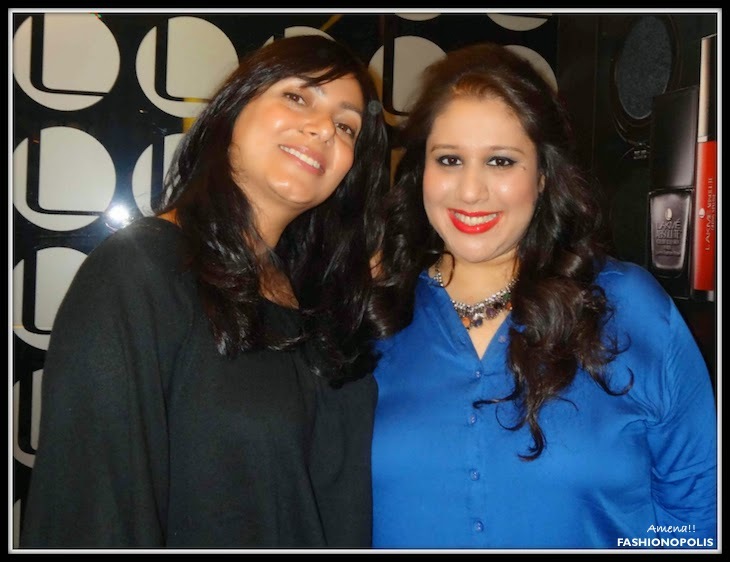 Prior to getting our makeup and hair done, Anu and I attended Lakmé Absolute Illusion Makeup Master Class, conducted by Lakmé Makeup Expert, Natasha Nischol. After the master class we had an opportunity to have a one-on-one chat with Ms. Nischol, where she was kind enough to answer our personal makeup and hairstyling queries as well as pose for photos. 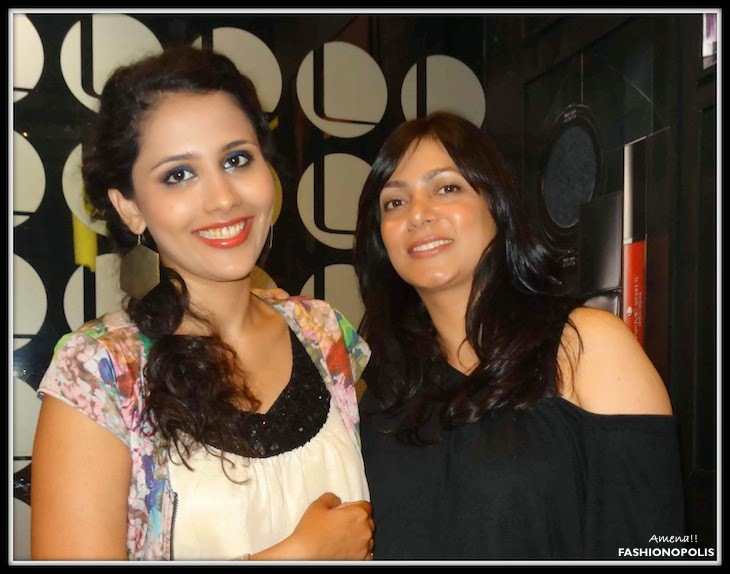 A very heartfelt thank you to Lakmé Absolute Salon’s entire team, for making this a one of a kind, wonderful experience. Along with being very polite and friendly, the makeup artist and hair stylist followed all our instructions to a T, without compromising on style and creativity. 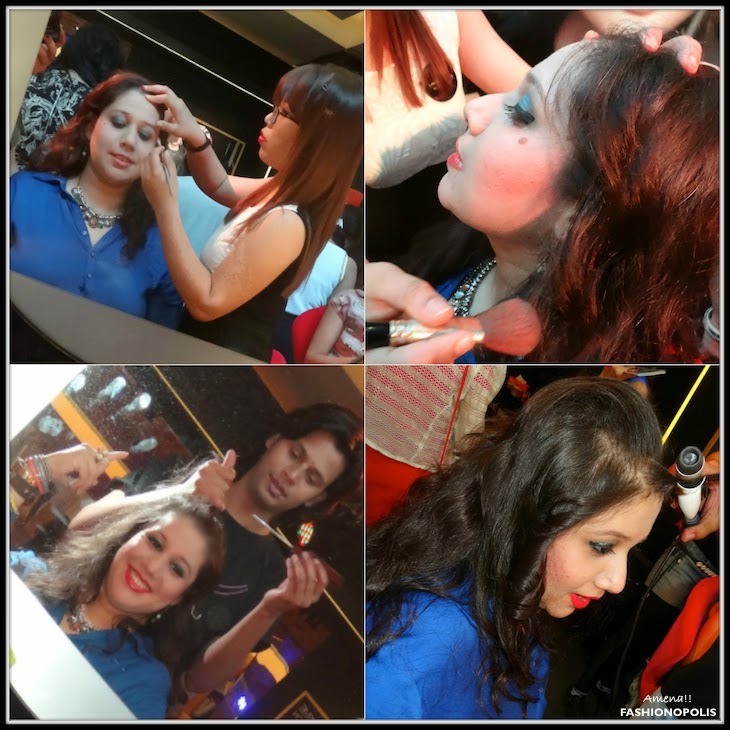 Not only did we have a great time trying out new looks, we also learnt a few new makeup tips and tricks. 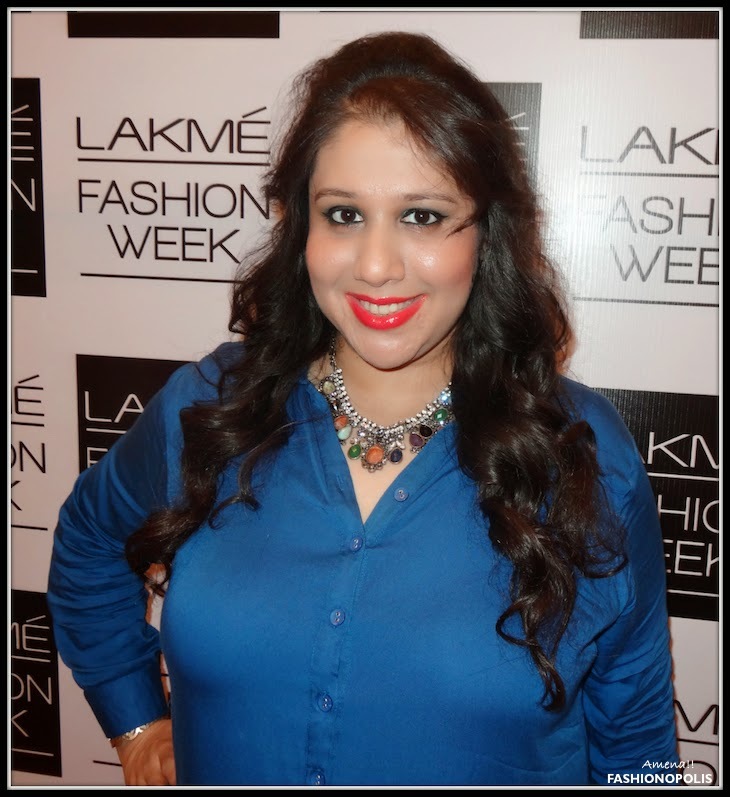 Honestly, I cannot wait for my next visit to Lakmé Absolute Salon to try out new makeup looks and hairstyles. Watch this space for more. What do you think of our ‘Absolute Makeover’ and looks? Do share your thoughts with me in the comments section. you both look lovely with your makeovers.